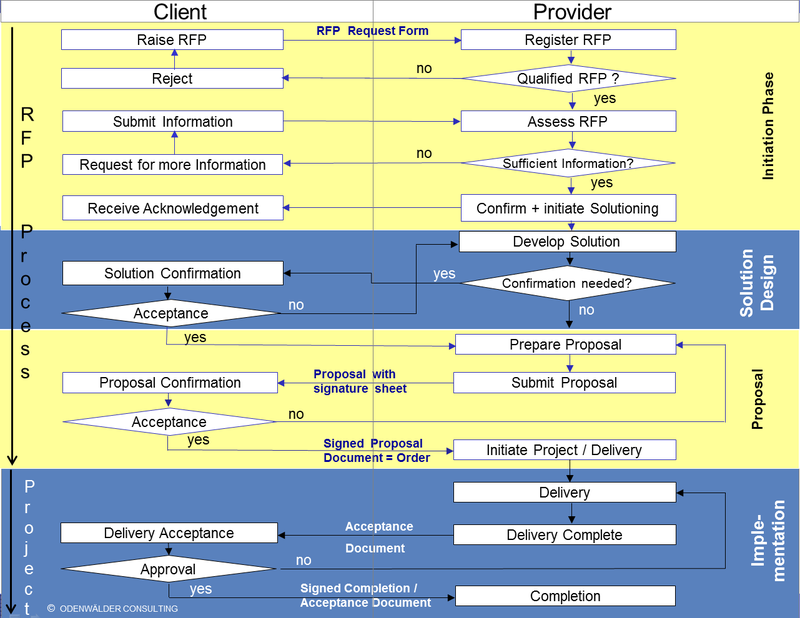 ODENWÄLDER CONSULTING supports you in setting up a cross-company demand and request management process for project and contract changes. We jointly develop your company’s internal request and approval work-flow as well as the Request Governance Agreement with your provider. 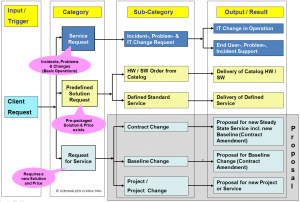 The Information Technology Infrastructure Library (ITIL) notions “change“ and “change management“ cover a vast variety of request types. 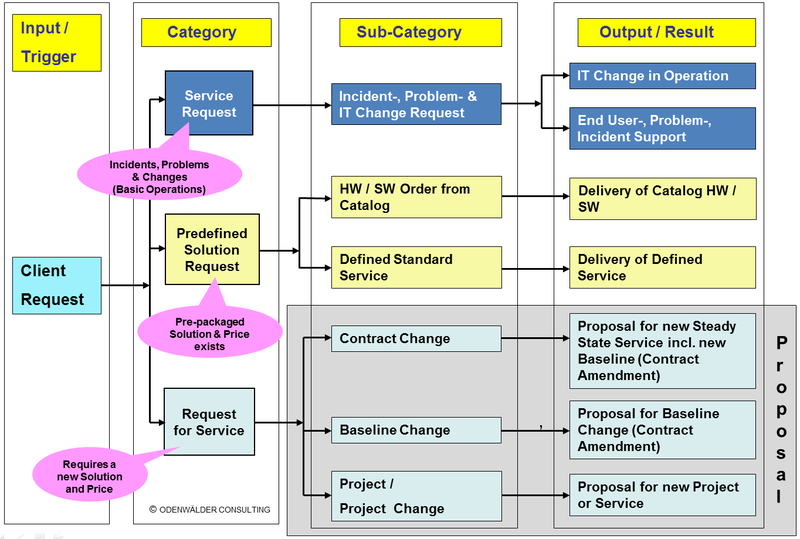 Hence ITIL focuses primarily on changes in IT operations, it neglects the “contract change management process” needed in outsourcing situations. 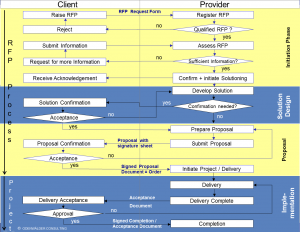 ODENWÄLDER CONSULTING complements the process landscape with a proposal and a contract change management process.